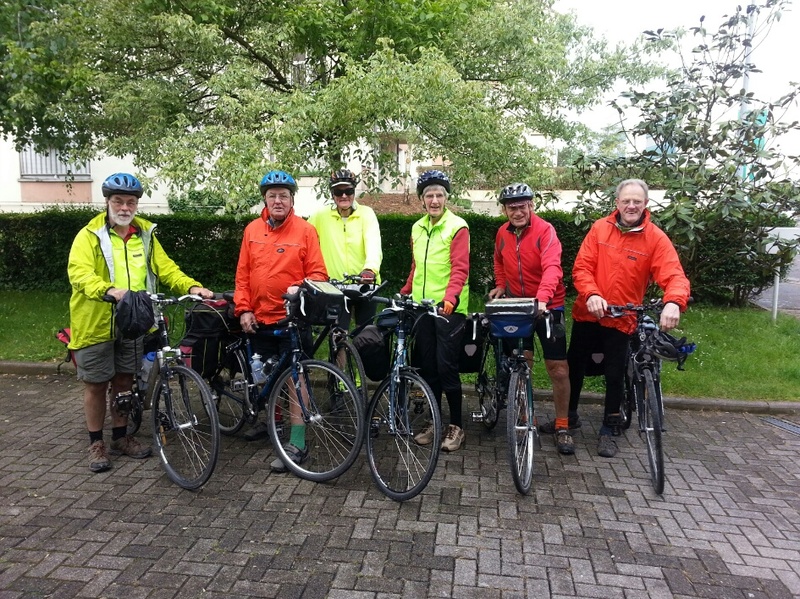 Six of us left Strasbourg together, Helmut was only going part way. We followed the canal east to Molsheim and stayed at Barr. 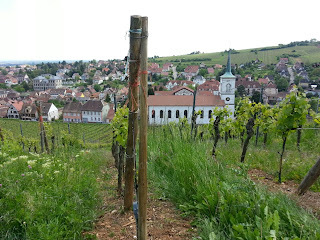 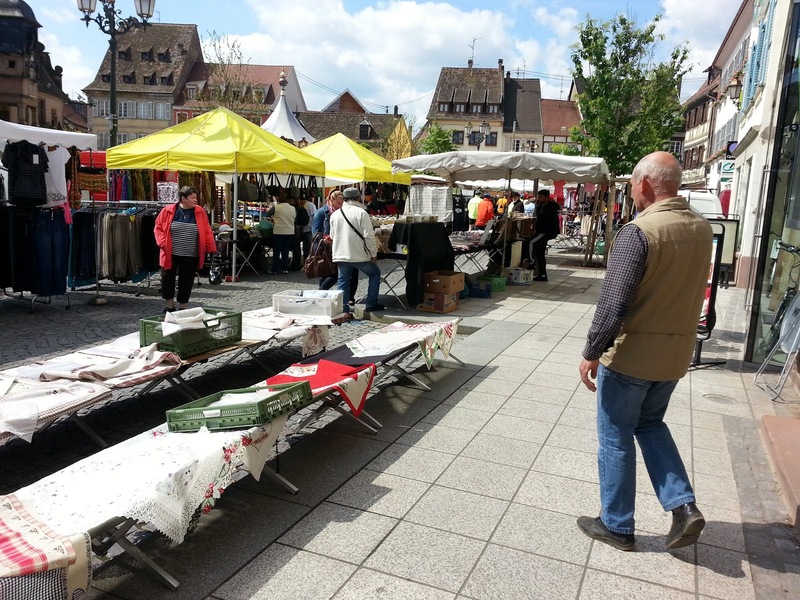 We followed the Route des Vins south to Colmar and Mulhouse. 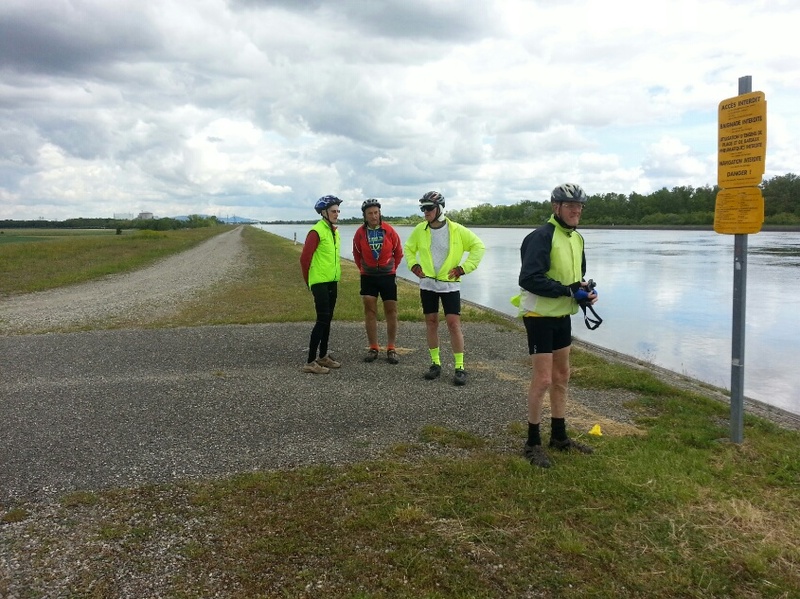 The Rhine canal, In the distance the Fessenheim nuclear power plant, the oldest working in France. We had a wet day riding from Colmar to Mulhouse, were very lucky to find a barge restaurant , a delicious $13 lunch. 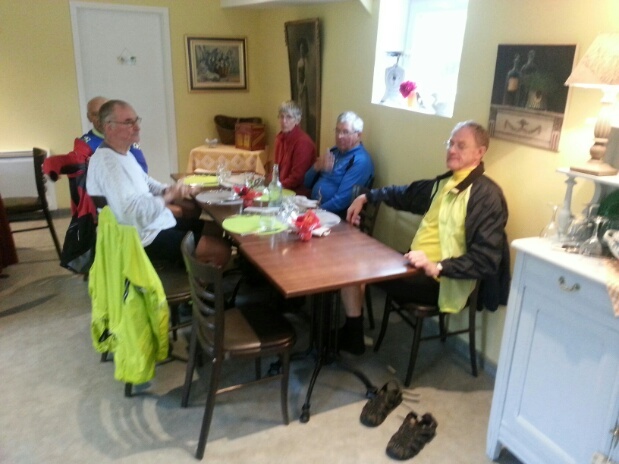 Inside the barge, 6 wet but happy cyclists. Continuing along the Rhine Rhone canal from Mulhouse along the Eurovelo6 bike path, we stayed in the Hôtel de France, Montbéliard. A lovely old family hotel, I was expecting Basil any second . Next Hyevre. 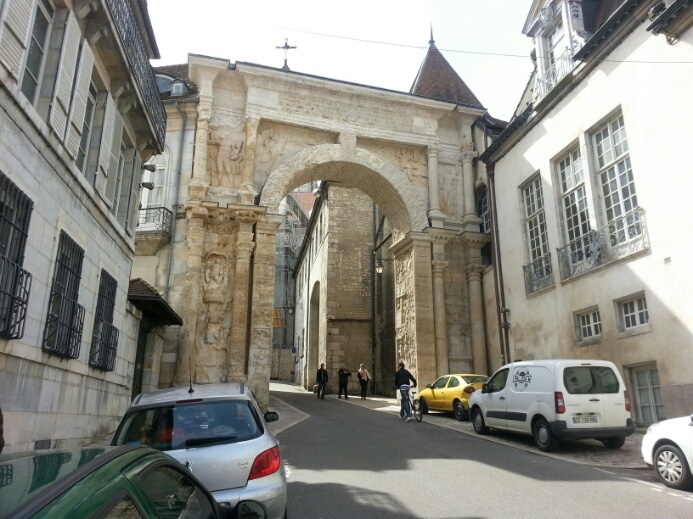 Next the fort city of Besancon with its Roman gate. The well in Besancon citidel is very deep, going right down to the river . 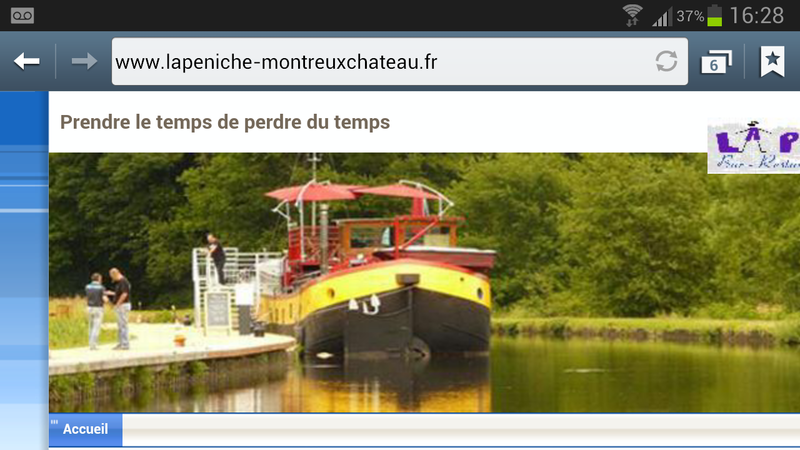 It has a treadmill to lift the bucket. 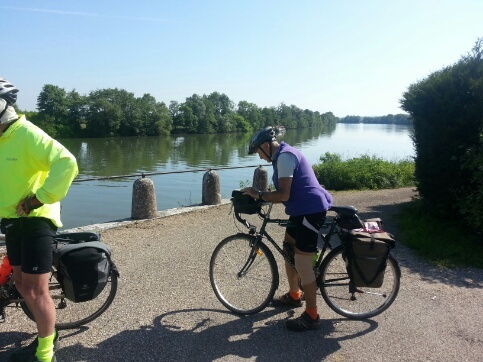 We follow the Rhine Rhone canal west along the river Doubs past Dole. 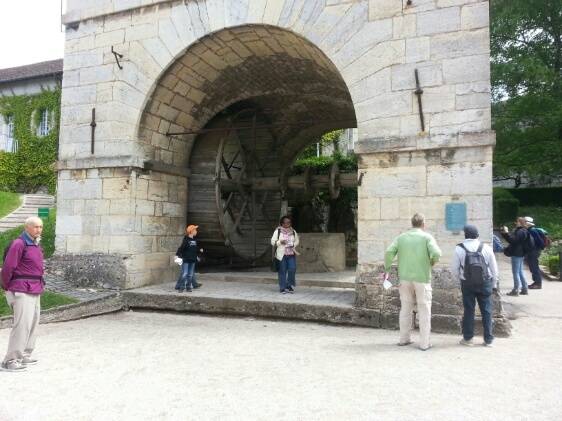 It reaches the river Saone and it swings south so we leave it there. 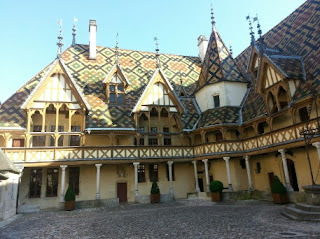 On the other side of the Saone valley Beaune with its hospice.